The 1986 Listed Buildings lists 5 buildings of which the farmhouse is probably 16th. century, a threshing barn with large double doors early 17th. century and another barn of 18th. century. 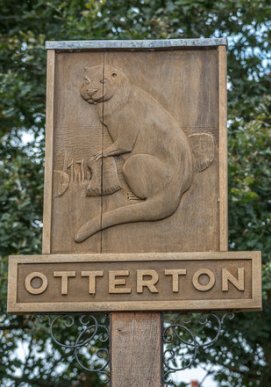 This indicates that the farm was one of the three existing main farms in Otterton that may have been of 15th. 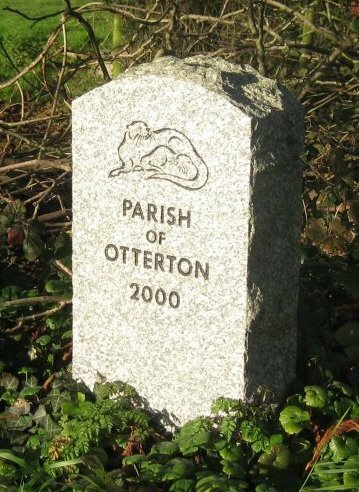 century origin established at the time of the Otter Estuary ports. The earliest reference seen is in the Auction of 1779 which lists two small farms each with House and Courtlage grouped around a yard leased by 1) Abraham Skinner with 21 acres; 2) by William Hutchins 19 acres, including 3 Fields called Bradlands. The two farms were merged into one unit in 1818. By the Tithe 1843/6 and Rack Rent Account for 1844, William Harding is holding Nos.12 & 76 and probably the 7 acre part of No.11. He is named in 1850 Whites Directory. There is also a new Rental No. 191. The whole is described as “Skinners & Tapes” of 72 acres of arable with two Houses Nos. 1048 & 1051 on Tithe Map. Rent £59. (The name “Tape” is probably the name of a previous farmer). 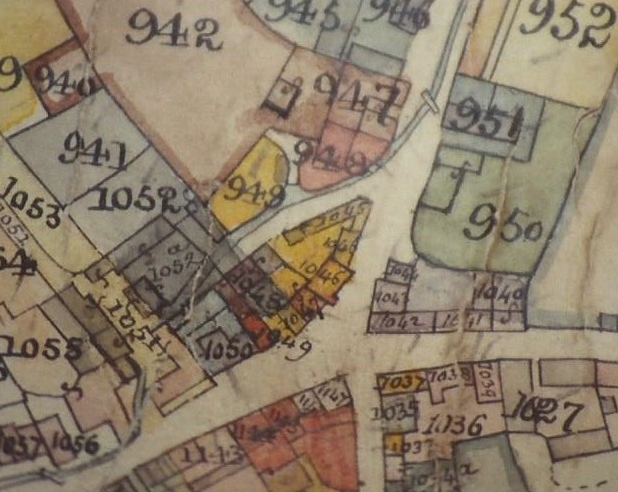 The 1844 Tithe Map shows the two Houses standing at opposite ends of the yard, east & west. The later farmhouse No. 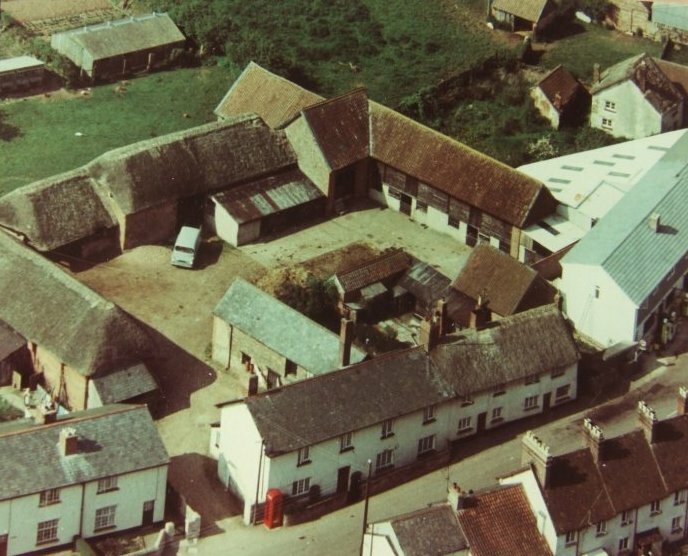 1050 known today in Fore Street replaced 1048 & 1051 where new barns were built. No.1052a is the 17th.century threshing barn. (Now No.3 Stantyway Court). The Map also shows the Otterton Brook flowing through the centre of the Yard. This was later covered over. In 1852 there was a major reorganization of 10 Holdings in the Parish including “Skinners & Tapes”. It was relocated to Thomas Tedbury jnr. “Part Robins, Tapes and Skinners Farms”, 115 acres Rent £140. (His father was the village Saddler)This was part of the grouping of farm lands into larger compact units throughout the Estate with the farmstead remaining in the village. The Coldridge Survey of 1861 shows the holding as 121 acres with the buildings as “ some modern and good, others bad”. The good ones probably were built to replace the houses 1048/1051. By 1870 Directory the farm is first named “Stantyway”, named after the Saxon open strip fields which lay where the present day Stantyway Farm is today. At least 19 acres are still part of the holding. The 1883 Directory is the first to name Thomas Tedbury’s son Daniel as holder, still 121 acres. Rent £133 pa.
By 1911 Survey, Daniel is farming 125 acres. Rent £156. The buildings are described as “a well road farm with good cob and slated house, some buildings adjoining, and others in fields near village. All buildings in very fair order”. Daniel is still there in 1914, but by 1926, son John is farming. The farm changed hands and in 1939 Sydney Williams jnr. Is holding. 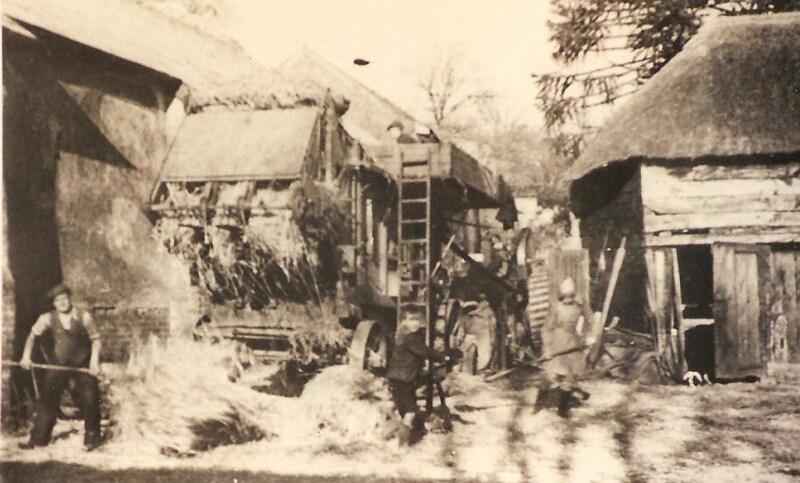 The family held the farm buildings in the Village through the Second World War until 1986.
the Williams family moved there in 1986. They continued farming the enlarged 264 acres. 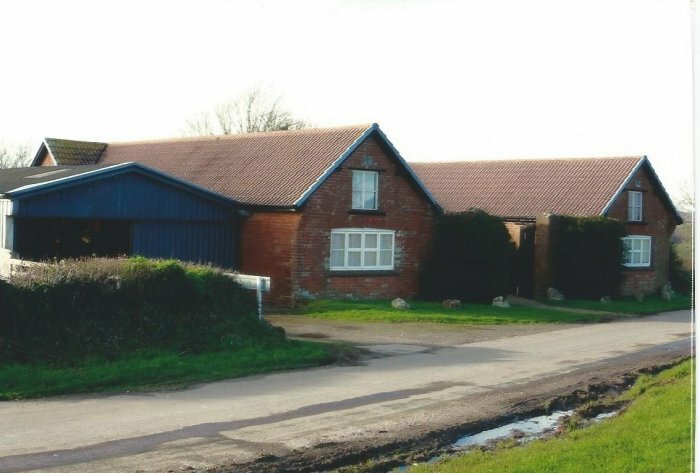 Two years later the Village farmhouse and farm-buildings were sold by the Estate at Auction with outline Planning Permission and listed buildings consent for conversion to the site seen today. 2015 the Williams vacated the farm which has been merged into the Clinton Devon Farms Partnership.